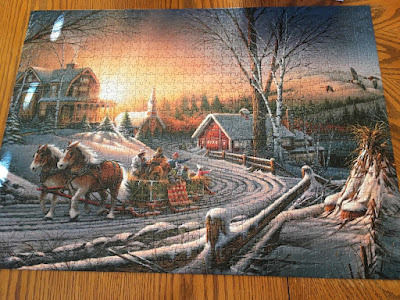 Both my MIL and I used to do puzzles every year over the winter. The kids would even work on it a little bit. I haven't done one since she passed 6 years ago. But I did buy a new puzzle last year and just saw it on the shelf. I might have to tackle that. 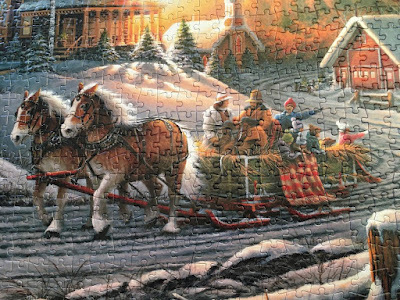 I love a good puzzle when you are stuck in during the winter. I just bought a new one for the puzzle table. Now I need the time to get to work on it. 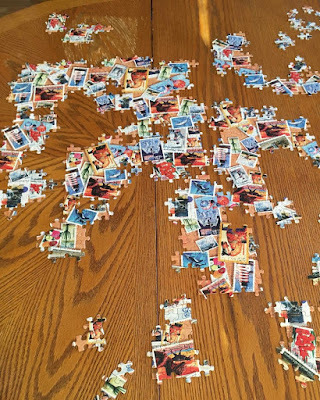 That jagged edge puzzle looks like quite a challenge. Oof puzzles. I like doing the edges and then I completely lose interest! That second one looks tough! We are working on one that is the head of a tiger...so curved edges. Very tricky. Wow! Did you eat at all? 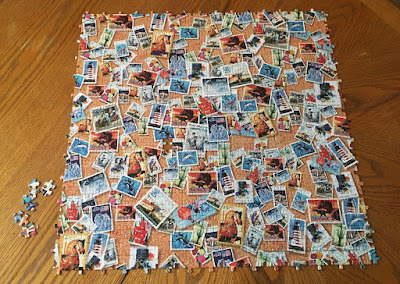 I am working on a 300 piece one with Will and he says it is too hard--I am trying to teach him some things are fun when you work a bit each day instead! I couldn't imagine doing the jagged edge puzzle!!!!! Great job! Well done! I don't think I could handle one of those no edge puzzles! It would drive me mad! Happy New Year Nancy! I'm just catching up with it all. 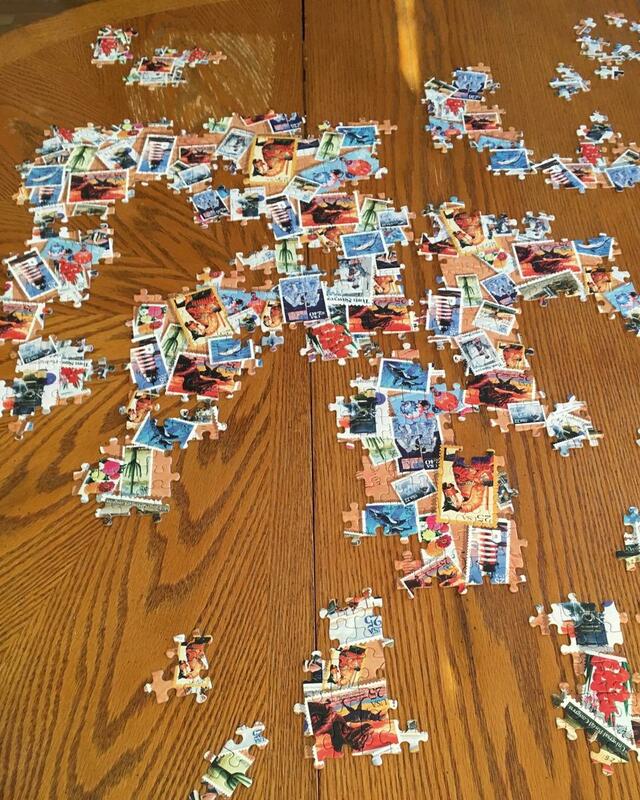 I am so jealous of your beautiful puzzle completing! They are great puzzles, but I'm with Valerie, I think the edgeless one might make me bonkers. or more bonkers. hehe. I would not have even considered that last one and loved the first one. That first one is so pretty! 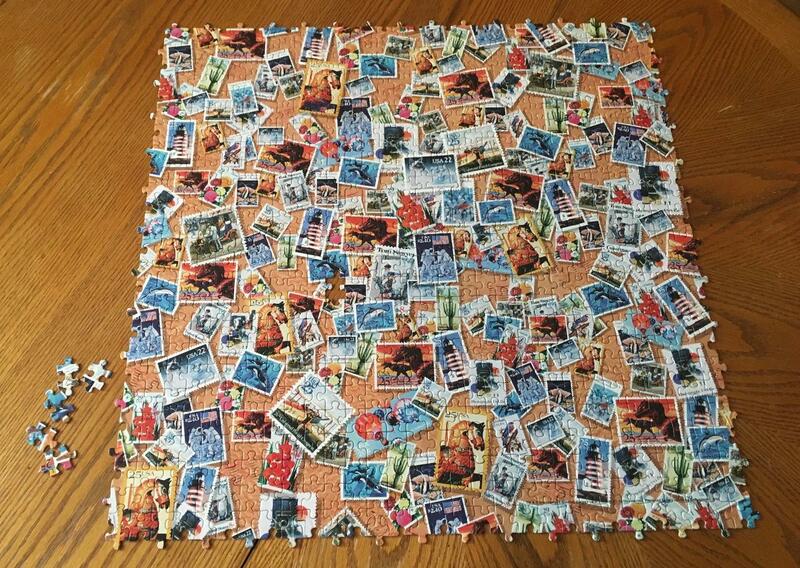 Puzzles are a great activity.